Observation - Hungry Mouse - UK and Ireland. Description: Regular visitor to bird feeding table at parents house during 08.Not sure if its a wood mouse? 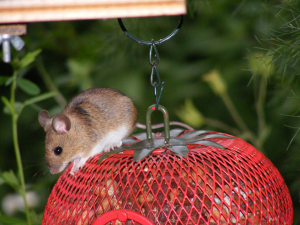 Regular visitor to bird feeding table at parents house during 08.Not sure if its a wood mouse?